Participating golf courses include: Briar Bay Golf Course, Country Club of Miami East Course, Country Club of Miami West Course, Crandon Golf at Key Biscayne, Greynolds Golf Course, and Palmetto Golf Course. 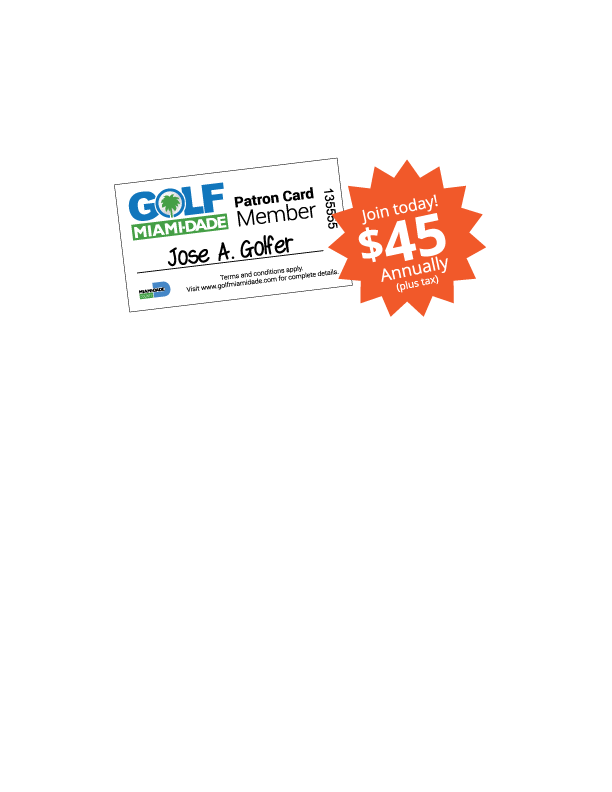 Advanced tee times- Up to 8 days advanced bookings! Rates include green fee, tax and cart; subject to availability. 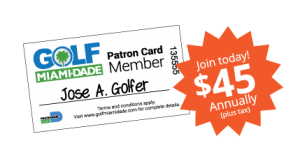 *Broward and Monroe county residents can purchase the Patron Card at Country Club of Miami for $69! (South Florida Residents are residents of Broward, Monroe, Palm Beach, Collier counties (excluding Miami-Dade County). *View complete terms & conditions.